The larger and more complex a design is, the more crucial it becomes that your pos/neg relationships make sense to the viewer’s eye. 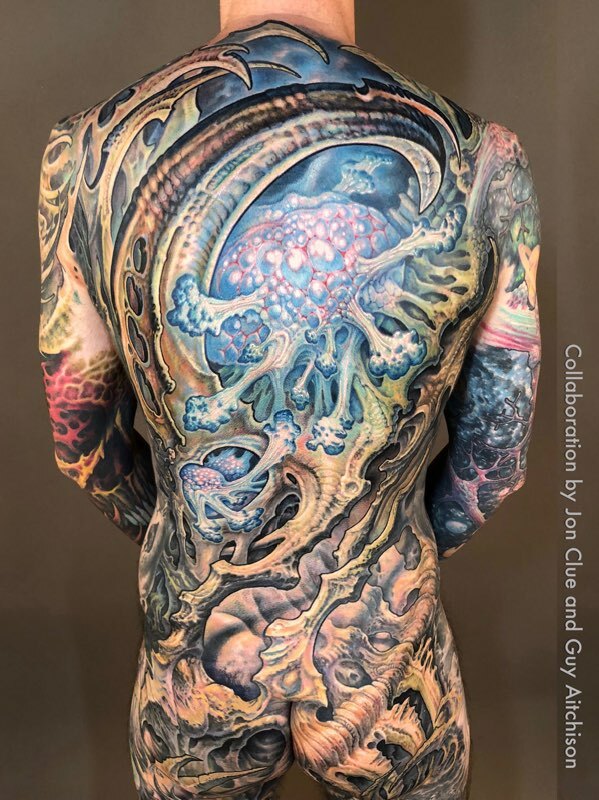 In this collaborative backpiece I did with New York artist Jon Clue, we planned on sticking with a mainly organic and textured approach, making readability even more important... so we made use of bold areas of black and a few strategic cast shadows to help keep it all together. You can read in detail about how we planned this one out in the Positive/Negative Relationships chapter of your ReinventingTheTattoo.com subscription!